Bedwetting is a challenging time. Apart from changing sheets and sleeping in an uneasy environment, having to deal with the aftermath is even more dreadful for you and a little embarrassing for your child. 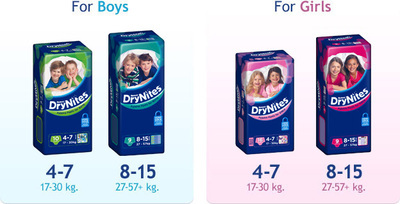 Huggies is now offering free samples of Drynites pyjamas for boys and girls to try.Why not try this free sample to decide if this is something you would want for your child to overcome this challenge. It comes with an ultra absorbent layer which does the magic and gives you and your child a peaceful night to sleep. Enter your details here to get your free sample.